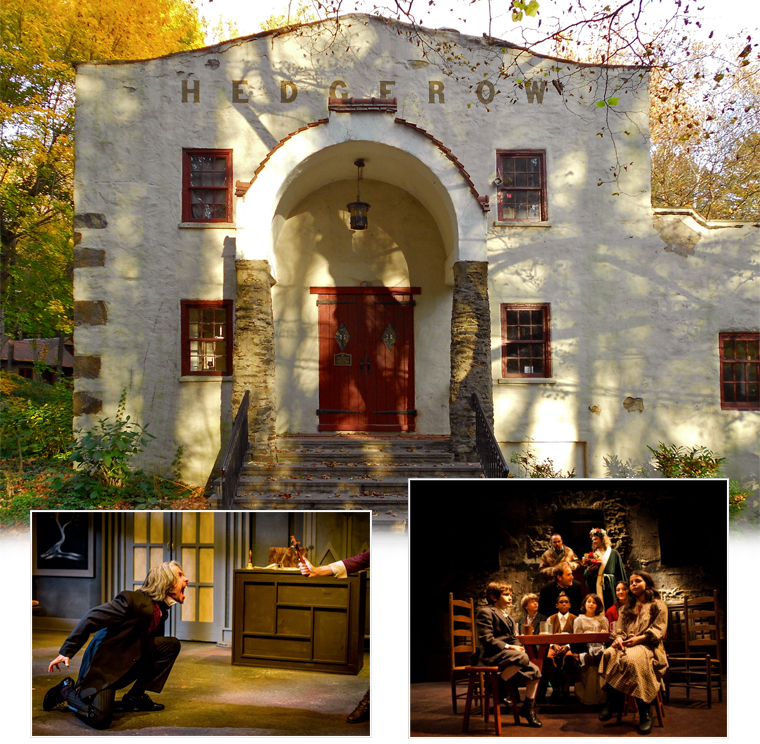 Hedgerow is a unique ensemble theatre housed in a historic grist mill, nestled in a secluded grove just minutes from the bustling county-seat town of Media. Vibrant with its own unique character, it seeks to connect and enrich the lives of the company, its patrons and the community through performances and theatre education of the highest quality. Founded in 1923 in Rose Valley Pa, Hedgerow has its roots in the artisan/craftsman movement at the turn of the last century. 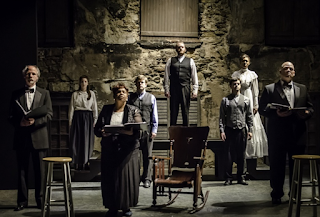 Actor/director Jasper Deeter fell in love with the intimacy of the grist mill-turned borough hall, the aesthetic appreciation of the community, and the opportunity to create a theatre with an artistic rather than commercial center. Under his leadership the theatre enjoyed an outstanding reputation. Over its 94 years Hedgerow has been a magnet for many national theatre personalities, from Richard Basehart to Edward Albee, Ann Harding, Susan Glaspell and more recently, Keanu Reeves and Austin Pendelton. In 1990 Hedgerow alumna Penelope Reed “came home” to apply her leadership and experience to advance Hedgerow as an actor's theatre. In her role as Producing Artistic Director, she reinstated Hedgerow as a major player in the national theatre scene. Today, Ms. Reed's son, Jared Reed, a nationally renowned actor, leads the company as Producing Artistic Director, representing the 5th general of a professional acting family as he heads Hedgerow in a new direction of artistic and aesthetic excellence. 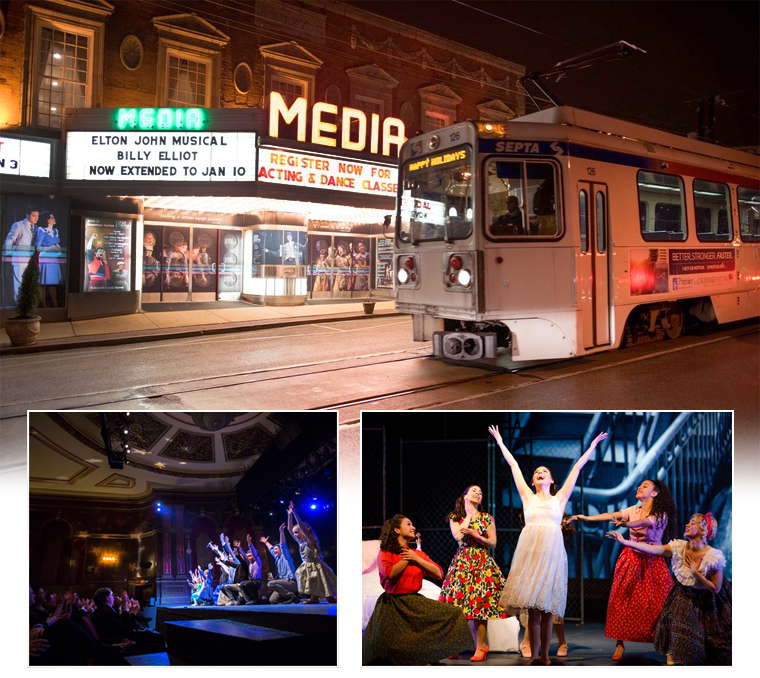 Locally it has been credited as 'the mother of all Philadelphia theatres,' spawning People's Light and Theatre Company, Freedom Theatre and Curio Theatre Company, as this little gem in the Delaware Valley attracts young talent and seasoned professionals. As each generation of actors takes the stage, the theatrical footprint of the nation's “First Reparatory Theatre” grows deeper and richer. Thousands of residents and tourists, alike, fill its seats for each show, experiencing laughter, tears, and every emotion in between. The Media Theatre for the Performing Arts is a non-profit organization that has been operating as the only professional music theatre in Delaware County since the year 2000. Located in downtown Media on beautiful State St., The Media Theatre was originally constructed in 1927 as a vaudeville house also featuring “talkies”. The ornate physical structure of the Media Theatre certainly represents the historic presence and unique value of downtown Media. For two decades, The Media Theatre has been producing a Broadway Series of musicals with actors who are members of Actors Equity Association. Media Music Theatre Company produces the productions at the non-profit professional venue. There is also a full season of children's programming, including shows on weekends, plus educational opportunities for youth and adults throughout the year. Jesse Cline is the Artistic Director. Under his leadership, the theatre company has won 72 Broadway World Award "Best of Philadelphia Theatre" Excellence Awards, including "Best Theatre Company" of Philadelphia. 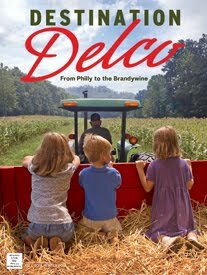 It has also received "Best Of" honors from the Philadelphia Inquirer, Delaware County Daily Times, Main Line Times, Delco News Network, and several other media outlets. New York Daily News refers to it as 'the cultural anchor of Delaware County'. It has been honored by the US Congress in Washington D.C., the Pennsylvania State Senate, and Delaware County Council. Children’s programming is also an essential element of the Media Theatre’s artistic and educational efforts. The combination of a strong Children’s Series of 5 productions annually, an acclaimed popular summer camp program, and a well-respected School of Theatre allow for a strong outreach program to a vast array of young people in our community. There are also opportunities for adults with developmental disabilities, as seen by the State Street Miracles performance troupe. 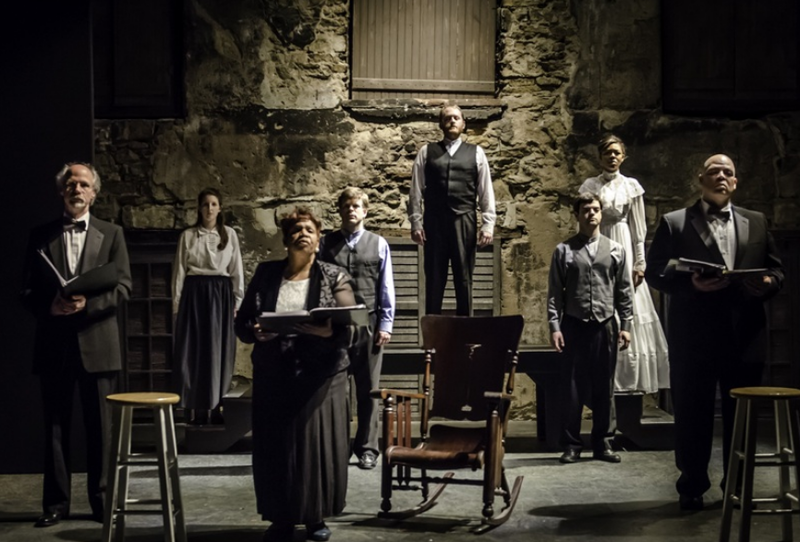 Now in its 41st season, People’s Light is one of Pennsylvania’s largest professional non-profit theatres and is known for its resident company of artists, eclectic mix of productions, and for innovative work with young people. They produce 7 – 9 plays per season, mixing world premieres, contemporary plays, and fresh approaches to classic texts. The theatre commissions and produces new work: of its 384 productions, over a third (150) have been world or regional premieres. 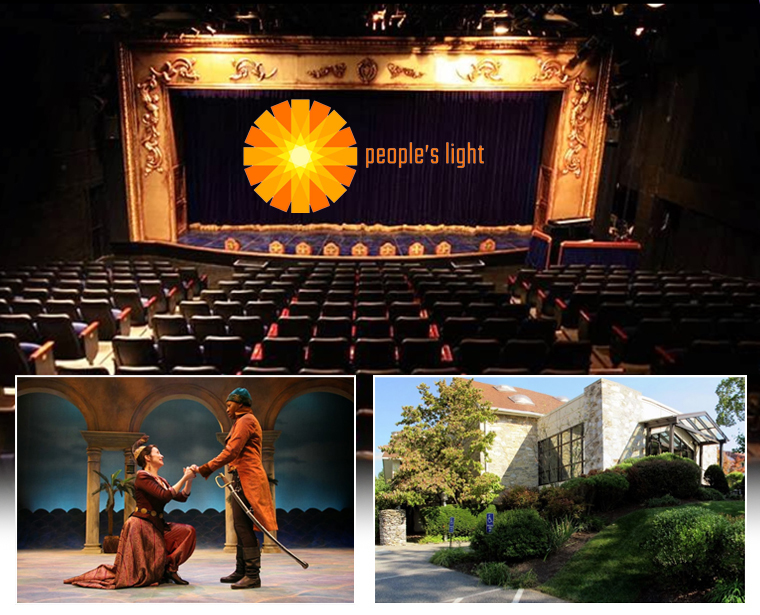 Located just outside our Main Line in Malvern, People’s Light includes two black box theatres with 340 and 160 seats, respectively; offices; scenic shops; rehearsal halls, classrooms; a restored 18th century farmhouse where we house guest artists; and banquet facilities that can be rented for special events. People’s Light employs 70 full and permanent part-time artists and staff members and almost 200 guest artists. Arts Discovery is a suite of arts education programs that extends the theatre’s mission for youth and adults, with school residencies, student matinees that bring students from 21 high schools to the theatre each year for free, a broad array of theatre arts classes for people from 7 to 70, and special projects inspired by the needs of the community. Located just outside of Philadelphia, the Upper Darby Performing Arts Center (UDPAC) has been delighting audiences with affordable live theater for nearly 40 years. Each summer, UDPAC invites local students and young theater professionals to participate in Summer Stage, performing seven professional-quality shows in six weeks. This program has become the gold-standard for youth theater programs, with its mission to encourage young people to develop the magic of their talents, personality and energy, and to share that magic with our audiences through outstanding theatrical performances for the entire family. Seven hundred and fifty students from around the Delaware Valley participate in Summer Stage programs and over 30,000 ticket-holders walk through our doors to enjoy their performances. Participants range in age from 11 to 28 and audience members travel from all areas of the Delaware Valley, from Chester, Bucks, Montgomery and Delaware Counties as well as Philadelphia and New Jersey for the sensational family-friendly performances. The Shooting Stars are the flagship of Summer Stage program. This dynamic show choir consists of talented and energetic stars that are auditioned to perform a variety of music and dance. In great demand, they perform everywhere from corporate events to nursing homes. They’ve also performed at Longwood Gardens, The Philadelphia Thanksgiving Day Parade, The Cherry Blossom Parade in Washington, DC, and Disney World. 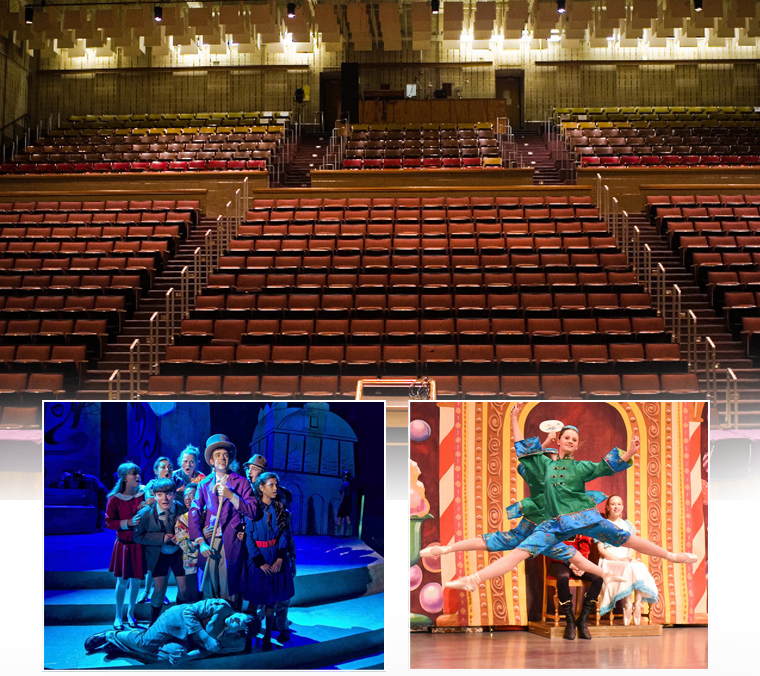 UDPAC seats 1,650 and is an exceptional performance facility ideally suited to musical, dance and theatrical productions. Its uniqueness is further accented by its diverse programs and an involvement by people of all ages that is a model for communities across the nation. The UD Performing Arts Center is conveniently located close to the Main Line; Center City, Philadelphia; and the Blue Route in Drexel Hill – and the parking is free. Click above for full information!